Does the phrase healthy fat sound like oxymoron to you? It does? Well, then, hi-there my fellow 1990s kid! You and I grew up in full-blown fat-phobic world. Do you remember the unbridled obsession with lean, white meat? The country-wide switch to 2% milk? The sudden appearance of low-fat cheese? And fat-free junk food: cookies, cakes, chips? Oh, and don’t forget the fat-free ice cream! Just writing about it brings back the minty, sweet, gooey weirdness of fat-free chocolate mint ice cream! Mmm, tastes like childhood! 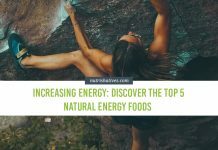 If you’ve been following health and nutrition news for the last couple of decades, though, you cannot help but have noticed a serious change in the wind. Fat has undergone a complete health makeover. Now you see stories about butter (pure fat!) being healthy. And the phrase healthy fat is used — non-sarcastically — all over the place! But is healthy fat a real thing? If so, how does it differ from unhealthy fat? And how does it help make you healthy? Is Healthy Fat a Real Thing? What Does a Healthy Fat Diet Look Like? The short answer here: yes! While certain fats are associated with increased health risks — like high cholesterol, heart attack, stroke and sudden cardiac death — other fats have the exact opposite effects. They protect against cardiovascular disease! Actually, they protect against a whole bushel of diseases! So, what’s the difference between healthy and unhealthy fat? In healthy fat, the fatty acids have a unique twist on this structure. They have at least one so-called cis-double bond. If you remember from your high-school chemistry class, a carbon-carbon double bond forms when two carbons each ditch a hydrogen molecule and form a bond to each other instead (Figure 2). Figure 2: Building a Double Bond Original Diagram. All rights reserved. 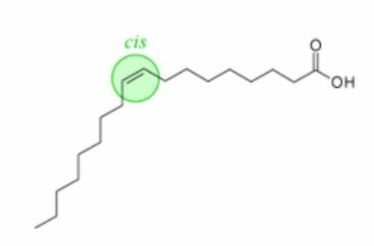 Cis-bonds put a kink in the fatty acid (Figure 3) which makes them easier for your body to use for healthy fat things like making cell membranes and producing hormones. Figure 3: Cis Double Bond Structure. Modified from “Cis trans” by Foobar, which is licensed under CC 3.0. Unhealthy fats, on the other hand, are really straight — with no kinks. There are two types of fatty acids that have this straight structure. Figure 4: Building a Trans-Double Bond Original Diagram. All rights reserved. This keeps a kink from forming, making a “straight” double bond (Figure 5) that behaves like a saturated fatty acid in your body. Figure 5: Trans-Double Bond Structure. Modified from “Cis trans” by Foobar, which is licensed under CC 3.0. These straight fatty acids are not as useful for making healthy membranes and hormones. They damage your cells, making it harder for them to do their jobs and making you sick. Now, while all fats with a cis-double bond are healthy, some are actually healthier than others depending on how many cis-double bonds they have and where they are in their carbon chain. Monounsaturated cis-fatty acids — or fatty acids with a single cis-double bond — are healthy. Polyunsaturated cis-fatty acids — fatty acids with two or more cis-double bonds — are healthier. And omega-3 polyunsaturated cis-fatty acids — fatty acids with more than two cis-double bonds and their first double bond between the 3rd and 4th carbon (Figure 6) — are the healthiest. Figure 6: Structure of an Omega 3 Fatty Acid. Modified from “Chemical structure of alpha-linolenic acid showing differing numbering conventions, created with ChemDraw” by Edgar181, which is in the public domain. Why does having that first double bond on the 3rd carbon make these fatty acids so healthy? To answer that, we need to get even more biochemistry-y for a second and talk about how your body uses polyunsaturated fatty acids and the importance of the omega 6:3 ratio. One of the main things your body does with polyunsaturated fatty acids is turn them into hormones that regulate your immune system. To do this, your body uses a series of enzymes that turn fatty acids from your diet into the important hormones, called prostaglandins and leukotrienes. Now, what’s interesting is these enzymes use whatever polyunsaturated fatty acid you give them. They can’t tell if the double bonds start at the 3rd carbon or somewhere else (say, the second really common starting spot — the 6th carbon). They just go along, turning them into prostaglandins and leukotrienes. And they can’t move the double bonds from the original fatty acid anywhere else in the carbon chain. So, if you start with an omega 3 fatty acid, you get a leukotriene or prostaglandin with double bonds starting on carbon three. And if you start with an omega 6 fatty acid (where the first double bond is between carbon six and seven), you have a leukotriene or prostaglandin with double bonds starting on carbon six. Figure 7: Omega 6 Fatty Acid Structure. Original Diagram. All rights reserved. Alright, so why does it matter if your leukotrienes and prostaglandins have a double bond at carbon three or six? Because leukotrienes and prostaglandins that have their first double bond on carbon six are way, way more powerful immune stimulators. That means that if you have too many omega-6-made leukotrienes and prostaglandins, your immune system becomes over-stimulated. It produces too many inflammatory chemicals and your body develops unhealthy systemic inflammation. So, how many omega 6’s and omega 3’s in your diet let your body make the healthiest ratios of leukotrienes and prostaglandins? Based on the current research, scientist think your body is healthiest if you consume no more than two omega 6 fatty acids for every omega 3 fatty acid you eat. This makes sure you make enough anti-inflammatory omega-3-made leukotrienes and prostaglandins to keep systemic inflammation at bay! What happens to your body if you eat lots of healthy polyunsaturated fatty acids in an omega 6:3 of less than 2:1? Well, naturally, you reduce systemic inflammation. And what does that do to your body? A whole bunch of positive things! Let’s check out 4 of the most important and surprising! One of the roles immune-stimulating leukotrienes and prostaglandins have on your body is to slow down your blood flow and make your blood ready to clot. When your immune system is in full-gear, it means you have an infection and, a good chunk of the time, an injury that let the infecting germ get in your body. So, your blood vessels are pre-programmed to get smaller and slow down blood flow (to help keep you from bleeding to death)! And your blood is pre-programmed to respond to an active immune system with ready-to-clot blood! While this is great news if you are actually wounded, when you’re not, these responses are dangerous. Narrow blood vessels can keep blood from flowing the way you need it to keep your cells healthy. And if you combine this with clot-happy blood, you’ve got a real mess! Ready-to-clot blood is, of course, more likely to actually form a clot. And clots, in turn, are more likely to get stuck in narrow blood vessels. Combined, this puts you at huge risk for a heart attack or stroke. 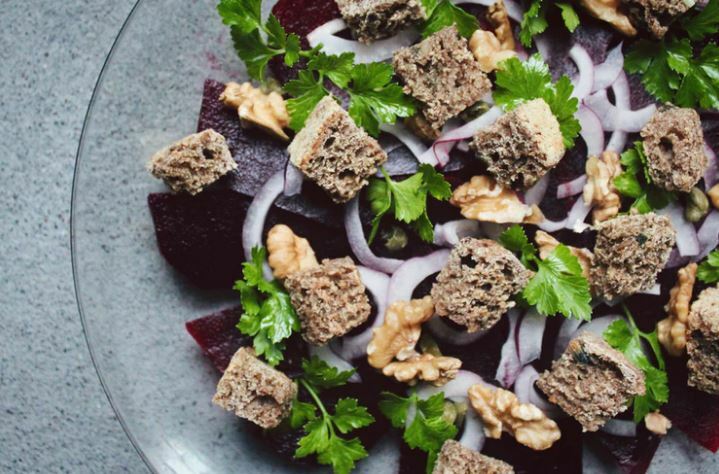 By making sure your diet has a healthy omega 6:3 ratio, you can nip this entire process in the bud, protecting your blood, blood vessels and cardiovascular health! Inflammation in your brain keeps your nerves from working the way they are supposed to! In fact, inflammation is thought to be one of the key contributors to the development of depression, anxiety, attention deficit hyperactivity disorder (ADHD) and dementia. Yet another effect of too many pro-inflammatory chemicals from an over-activated immune system is insulin resistance. Certain inflammatory chemicals mess with your cells’ ability to respond to insulin. They keep signals from your insulin receptors from actually getting into your cells. So, even though you have insulin telling your cells, “Open up! There is sugar out here!”, they don’t. This lets sugar build up in your blood and puts you squarely on the path to developing type 2 diabetes. Reducing inflammatory chemicals in your body by eating a healthy ratio of omega 6:3 fats in your diet can help you take an early exit from the diabetes highway! This final health benefit might not surprise you much! An immune system that is not over-stimulated is a healthier immune system! But the effects are really important. An unbalanced immune system is not only bad for your blood, brain and metabolism, it’s bad for your immune system, itself! 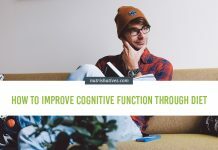 If your immune system stays over-stimulated and ready to attack at a moment’s notice for long periods of time, it’s more likely that it will tip over into a full-blown autoimmune disorder. By keeping your immune system calm with plenty of healthy omega 3s, you can help ensure it doesn’t spiral out of control and begin attacking healthy cells! 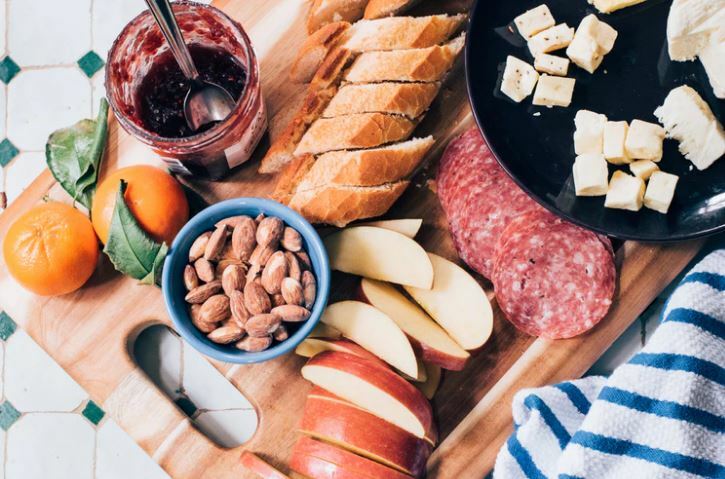 Limiting your intake of these three types of food instantly skyrockets the percentage of fat in your diet that is made up of healthy, unsaturated fatty acids. And how do you get a healthy omega 6:3 ratio? Typically, those eating a standard American diet are getting far, far too many omega 6 fatty acids, and not enough omega 3s. (Remember I said a ratio of 2:1 is good? Most Americans get more like 16:1). Which foods fall into those categories? Aim every day to consume plenty of omega 3-rich foods and keep an eye on your portions of omega 6-rich foods and you’ll see your ratios hit healthy levels in no time! We’ve come a long way from the fat-phobia of the 1990s! Now we know that not only not all fat is unhealthy for you, but that some of it is actually very healthy. 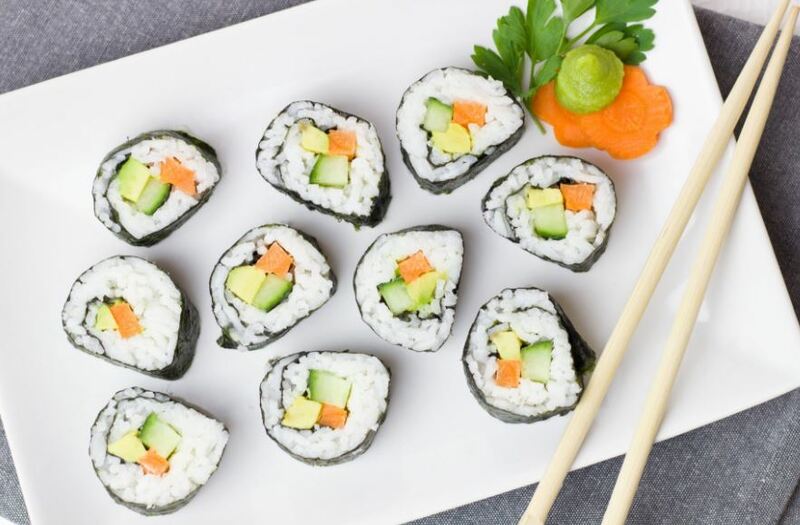 Polyunsaturated cis-fatty acids help protect your body from disease, especially if they are found in your diet in the super healthy omega 6:3 ratio of 2:1 (or less!). Such healthy fat intakes can protect your blood, blood vessels, brain, immune system and metabolism. Did you find this article useful? Let us know in your experiences in the comments below! And make sure to SUBSCRIBE to our blog to stay up-to-date on all the latest nutrition science! Next articleDigestive Enzymes and Overall Health: Can Supplements Be Beneficial? 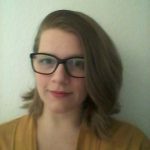 Miranda is the Nutrishatives health and nutrition lead writer. A classically trained physiologist and biochemist turned nutritional scientist, lifestyle medicine advocate, and author, she is on a mission to share scientifically-accurate health and nutrition information with everyone. When she’s not keyboard-deep in the latest nutritional research, you can usually find her nose-deep in a book, skeins-deep in a knitting project, or episodes-deep into something sci-fi-fantasy-historical-fiction-y. 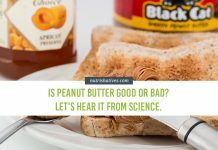 Is Peanut Butter Good or Bad? Here’s Science’s Answer. 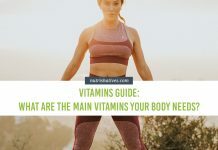 Vitamin Guide: What are the Main Vitamins Your Body Needs? great writing! What’s your thought on consuming coconut oil? Welcome back Daniel! Even though coconut oil (fruit oil) has been given a bad name for some time, new research suggests coconut oil has multiple health benefits versus seed oils (canola, soybean, peanut, ect). We encourage the consumption of coconut oil due to the many health benefits research is revealing. As always, consume foods in moderation and consult with your physician before making any diet changes. We look forward to hearing from you again!